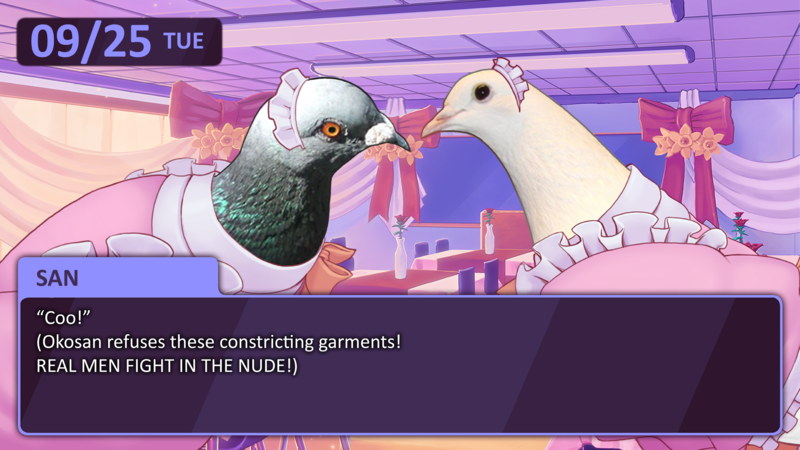 Devolver Digital's bird-based dating sim will be available soon for the handheld device. Popular pigeon dating sim Hatoful Boyfriend will be flocking to PlayStation 4 and PS Vita as of July 21 in North America and Europe. Devolver Digital has announced that it'll also be cross-buy, so if you buy one version of the game you'll get the other one, too! And there's still a reason to purchase this version of the game too, even if you had the original and have rebought it time and time again. This version will include a brand new romance option known as Tohri, a character who only existed previously in the Hatoful Boyfriend: Holiday Star sequel. Give the game a chance when it hits -- it's actually a thoughtful and interesting visual novel that's well worth your time. Now how about a mobile version?